The Bacchus Marsh Avenue of Honour is a combination of 281 Dutch elms (Ulmus X hollandica) and Huntington elms (Ulmus X hollandica 'Vegeta') planted in pairs approximately 20 metres apart. It is the second largest Avenue of Honour in Victoria and is largely intact. The Avenue of Honour is a cultural landmark located on the eastern side of the Bacchus Marsh township and extends for approximately 2.9 km along Bacchus Marsh Road from Pearce Street in the west to the flag poles on either side of the road approximately 300 metres before the Lerderderg River. The dedicated Avenue of Honour sits within a longer avenue of elms and provides a continuous, impressive visual link between the town and the river. The Avenue of Honour is a key landscape feature of the district and is characterised by the curved road with the overarching canopies of the mature elms. The Avenue of Honour is on the traditional land of the Wathaurong people. The Avenue of Honour was planted in the afternoon of 10 August 1918 to commemorate locals who volunteered to serve in World War 1. The tree planting was a community effort attracting one thousand spectators, with workers from the Darley Firebrick Company and other volunteers digging the holes and erecting tree guards in readiness for the planting. After a bugle call 281 elms were simultaneously planted with each tree representing an individual volunteer soldier. In a display of egalitarianism, the name plaques associated with each tree were arranged in alphabetical order along the Avenue. This kept families together and symbolised the idea that each individual's contribution to the war effort was equally important. Each tree was originally protected by timber guards with attached copper embossed name plaques mounted on a wooden block giving the soldier's name, rank and battalion details. As the guards collapsed and timber frames were removed, many of the name plaques were either lost or attached to the trees by the 1950s. In the early 1960s the Country Roads Board replanted some new trees after road realignment work and installed new green bevel-edged hardwood name plaques on white hardwood posts. In the late 1960s and 1970s missing name plaques were replaced with embossed aluminium name plaques on hardwood backing plaques which was likely to be the first systematic replacement of the name plaques. By the late 1980s cast aluminium name plaques were being attached to the trees. In the late 1990s some cast bronze name plaques were mounted on the trees. In 2009 the plaques were removed for restoration and remounted in 2010. The 84 remaining original plaques are in varying condition are held in storage at the Shire Offices. The Bacchus Marsh Avenue of Honour is of historical, aesthetic and scientific (research and botanical) significance to the State of Victoria. The Bacchus Marsh Avenue of Honour is of historic significance as a World War 1 Avenue of Honour and as one of the earliest examples of this important form of memorial planting in Victoria. The Bacchus Marsh Avenue of Honour is significant for its representation of the phenomenon of commemorating individual sacrifice for the World War 1 effort through the planting and maintenance of a tree in an Avenue of Honour. 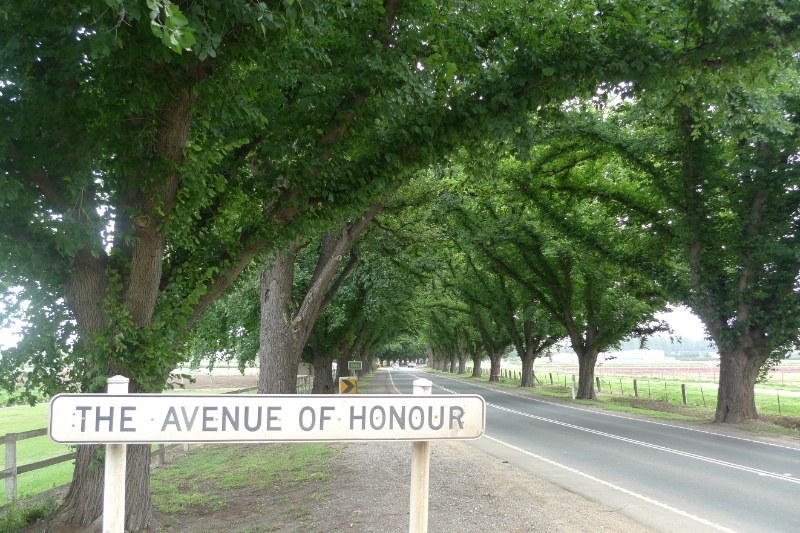 The Bacchus Marsh Avenue of Honour is of historic significance for the egalitarian treatment of the individuals commemorated by each tree within the Avenue. The name plaques associated with each tree are arranged in alphabetical order along the Avenue of Honour, keeping families together and symbolising the idea that each individual's contribution to the war effort was equally important, regardless of rank. The Bacchus Marsh Avenue of Honour is aesthetically significant for the dramatic, continuous and unbroken cathedral-like arching of the canopy, making it one of the most distinctive elm avenues in Victoria. The trees form a visually impressive colonnade effect in all seasons. The regular spacing and pairing of trees on either side of the road is a strong design element reflecting the dual purposes of commemoration and amenity enhancement. These design elements contribute to the Avenue of Honour being a cultural landmark at entrance of Bacchus Marsh. The Bacchus Marsh Avenue of Honour is of scientific (research and botanical) significance for its potential to tell us about how Victorians dealt with the effects of war, and as an increasingly rare elm avenue due to the decimation of elms through Dutch elm disease in Europe and North America. While not of State-level social significance, the Bacchus Marsh Avenue of Honour is of high local social significance for its relationship with the community as a living memorial to those who enlisted in World War 1. The planting of trees was seen as a symbol of hope and a tangible way for local people to become involved in commemorating soldiers who enlisted to serve their country at war. 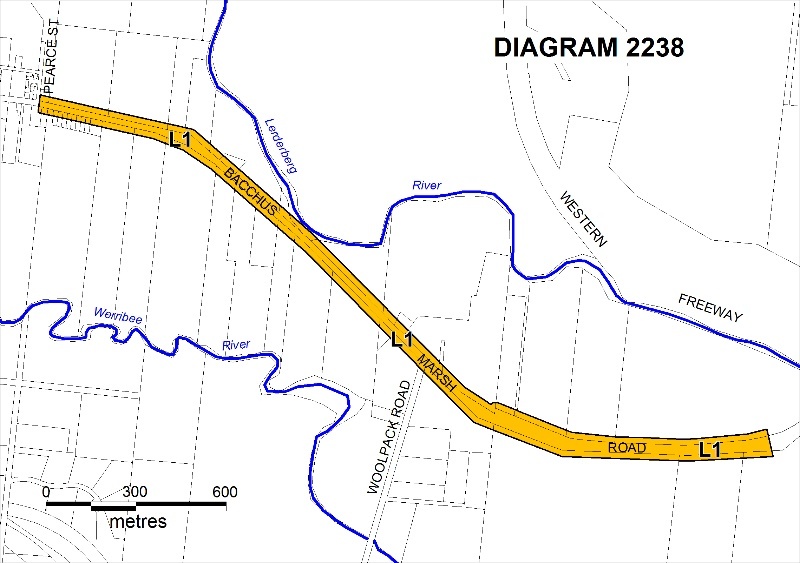 All the trees planted along Bacchus Marsh Road and all the memorial name plaques associated with the trees within the land marked L1 on Diagram 2238 held by the Executive Director. This includes the road reserve and 20 metres into the adjoining land on both sides in order to protect the critical root zone area. This information is largely based on the Bacchus Marsh Avenue of Honour Strategic Management Plan June 2004 by Moorabool Shire Council 2004. Bacchus Marsh heritage study, Richard Peterson, Daniel Catrice, Bacchus Marsh (Vic. : Shire). Council Historic Buildings Council (Vic.) [Melbourne] [Bacchus Marsh Shire Council] 1995. Avenues of Honour in Victoria, Janine Haddow, University of Melbourne, unpublished, 1987. The Bacchus Marsh Avenue of Honour is one of at least 128 avenues planted in Victoria between 1917 and 1921. Of the Great War avenues in Victoria, the Bacchus Marsh Avenue of honour is the second largest after the Avenue of Honour at Ballarat. In 1987 when a comprehensive study was carried out by Janine Haddow, it was one of only 52 Great War Avenues still known to exist. Some avenues have died but most had been removed for road widening and straightening. Haddow (1987) suggest that about 605 of the removals were due to road works. The Bacchus Marsh Avenue of Honour may have had a similar fate except for community pressure which resulted in the Western by-pass being constructed. Victoria became the heartland of avenues of honour, perhaps because they had been promoted earliest and hardest in this state. The Victorian State Recruiting Committee had written to all municipalities and shires in 1917 recommending that an assurance be given to every intending recruit that his name would be 'memorialised in an avenue of honour'. The magnitude of the impact of the Great War on Australia and smaller centres was enormous. By 1918 Australia had a casualty rate of 64.93%, the highest of all the allied forces. This meant that every Australian had a connection with someone who had been killed during the war and explains why most Australians were involved in creating war memorials. The Avenue of Honour was planted on August 10, 1918 (armistice signed 11 Nov 1918) as "a memorial to the brave soldier lads who have left their homes to go and fight for their King and Country", (Bacchus Marsh Express 17 August 1918). On this afternoon a crowd of over 1000 people assembled to witness and participate in the planting ceremony. A bugle call was then sounded as the signal to commence the planting simultaneously. All 281 elms were planted within half an hour of the bugle call. Although the Great War was not over, the community of Bacchus Marsh took it upon itself to ensure that a lasting tribute to its service persons was created. Whilst the avenue was undoubtedly motivated by the success of the Lucas girls of Ballarat in the planting of the Ballarat Avenue of Honour, it is a unique dedication to the service persons of the town and district. The trees were planted and dedicated in a modified alphabetical order. No priority was given to order of enlistment, rank or to those who had paid the supreme sacrifice. It is important to recognise that although the Council stood as guarantor for the costs of the Avenue, the vast majority of the costs were borne directly by the Community. Up to the printing of the Express on 17th August 1918, 232 of the 281 trees had been sponsored by the community. 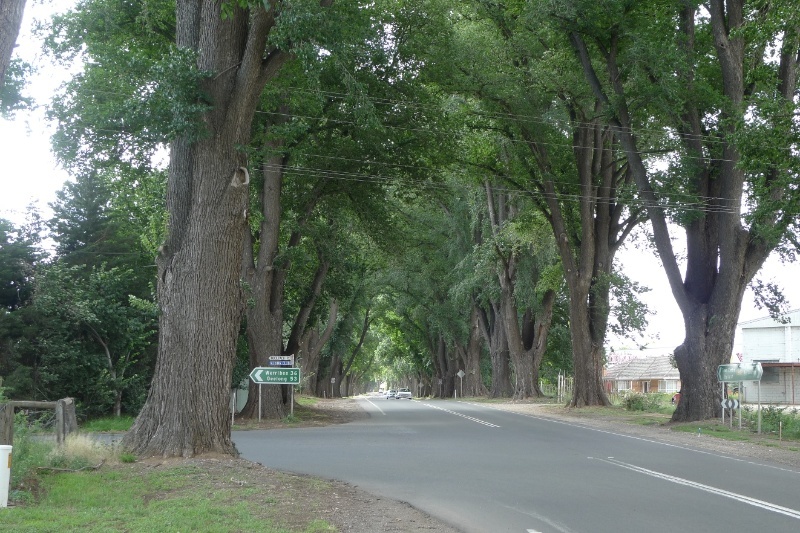 The trees (Canadian elms) (later identified as Dutch elms and Huntington elms) are planted on both sides of the main Melbourne-Ballarat road, commencing from the present avenue of trees at the east end of the town and extend to within sight of the Lerderderg River at Hopetoun, a distance of nearly two miles. Next season the Avenue may be extended to Anthony's Cutting. Each tree stands as a silent sentry representing a gallant soldier, and the length of road so covered gives some faint idea of the district's magnificent contribution in men (the world's best soldiers) to the Empire's Army. The trees are protected by well-made timber guards, affixed to each of which is a neat sheet-copper embossed name plate, giving the soldier's number, rank, Battalion, &c. The soldiers have been placed in alphabetical order and numbered-the odd on one side and the even on the other, thus placing the members of one family together. This explanation is given for those who may wonder at the interweaving of the names, as given on the list sheet. To plant 281 trees in one afternoon seemed an almost impossible task, but so complete were the arrangements that the feat was accomplished without a single hitch, not only in the afternoon, but in about half-an-hour. The holes for the trees had already been prepared by a band of willing workers in the morning. A sight that will be long remembered. So keen were the men to assist that this part of the programme almost turned itself into a competition as to who would dig the most. As an instance of this patriotic spirit, the Darley Firebrick Company closed down its works and at about 8 a.m. 30 employees took up their positions in the Avenue, where several of their comrades are represented by.....short time they had 100 holes already. Work much appreciated by the committee. Other individual workers came from all quarters, and by 11 o'clock every hole had been sunk and by noon all the tree guards erected. Many workers who came later were disappointed because there were no holes left for them to dig. Originally each tree was protected by timber guards on to which was attached copper embossed name plate mounted on a wooden block giving the soldier's name, rank and battalion details. As the guards collapsed the timber frames were probably removed and many of the name plates were either lost or attached to the trees by the 1950s. In the early 1960s the Country Roads Board replanted several replacement trees after avenue realignment works and installed new green bevel edged hardwood name plates on white hardwood posts. In the late 1960s and 1970s missing plates were replaced with embossed aluminium name plates on hardwood backing plates which was likely to be the first systematic replacement of the name plates. By the late 1980s cast aluminium name plates were attached to the trees. In the late 1990s some caste bronze name plates were mounted on the trees. In 2009 the plaques were removed for restoration and remounted in 2010. General Conditions: 2. Should it become apparent during further inspection or the carrying out of works that original or previously hidden or inaccessible details of the place or object are revealed which relate to the significance of the place or object, then the exemption covering such works shall cease and the Executive Director shall be notified as soon as possible. General Conditions: 3. If there is a conservation policy and plan endorsed by the Executive Director, all works shall be in accordance with it. Note: The existence of a Conservation Management Plan or a Heritage Action Plan endorsed by the Executive Director, Heritage Victoria provides guidance for the management of the heritage values associated with the site. It may not be necessary to obtain a heritage permit for certain works specified in the management plan. General Conditions: 4. Nothing in this determination prevents the Executive Director from amending or rescinding all or any of the permit exemptions. General Conditions: 5. Nothing in this determination exempts owners or their agents from the responsibility to seek relevant planning or building permits from the responsible authorities where applicable. Minor Works: Note: Any Minor Works that in the opinion of the Executive Director will not adversely affect the heritage significance of the place may be exempt from the permit requirements of the Heritage Act. A person proposing to undertake minor works must submit a proposal to the Executive Director. If the Executive Director is satisfied that the proposed works will not adversely affect the heritage values of the site, the applicant may be exempted from the requirement to obtain a heritage permit. If an applicant is uncertain whether a heritage permit is required, it is recommended that the permits co-ordinator be contacted. In the event of loss or removal of trees, replanting with Dutch elms (Ulmus X hollandica) or Huntington elms (Ulmus X hollandica 'Vegeta') to maintain the landscape character identified in the statement of significance. Removal of tree seedlings and suckers but excluding herbicide use. Repairs, conservation and maintenance to structures and hard landscape elements, memorial name plaques, asphalt and gravel paths, stone and concrete edging, fences and gates. The purpose of the exemptions is to allow works that do not negatively affect the cultural heritage significance of the place. 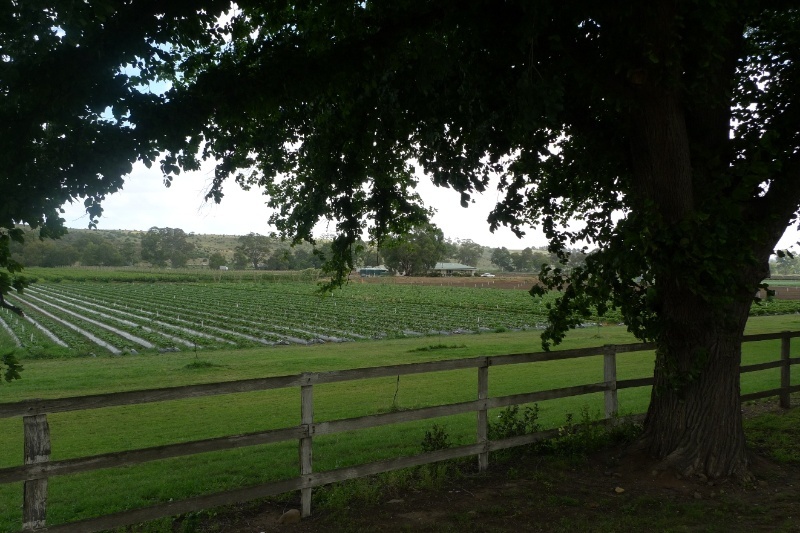 The cultural heritage significance of the Bacchus Marsh Avenue of Honour is primarily as an intact commemorative planting that symbolises the response of a rural community to World War I. Each tree is dedicated to an individual soldier and contributes to the significance of the Avenue of Honour as a whole. The significance of the Bacchus Marsh Avenue of Honour lies in the uniform planting of the trees and the alphabetical ordering of the associated name plaques. In managing changes to the Avenue of Honour, the Bacchus Marsh Avenue of Honour Strategic Management Plan June 2004 by Moorabool Shire Council 2004 should be consulted. 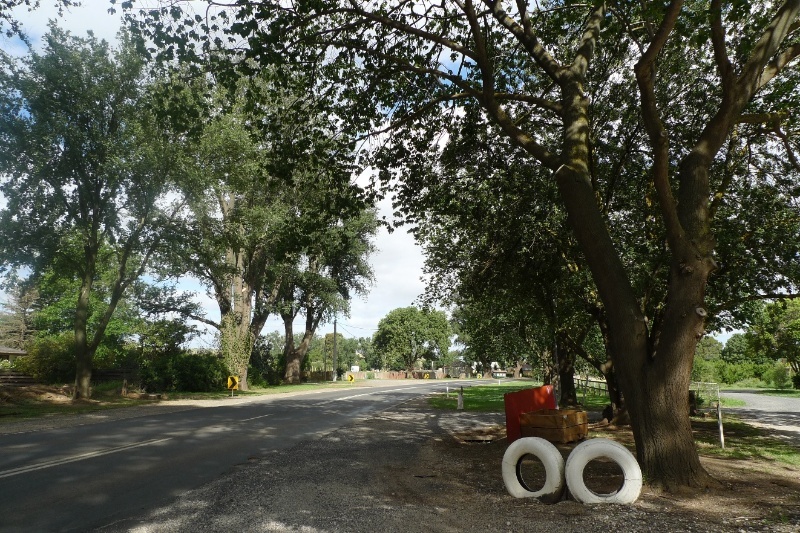 Works associated with water, gas, power, sewer or similar services that occur within the road reserve and 20 metres into the adjoining land on either side will require an arborist's report and approval from the Executive Director of Heritage Victoria. Other than those buildings and works specifically exempt, the demolition of an existing structure and any new buildings, structures or works (including vehicle crossovers) that are proposed within the road reserve or 20 metres into the adjoining land on either side of the reserve require the consent of the Executive Director of Heritage Victoria. Any changes to the name plaques other than repairs, conservation and maintenance will require approval from the Executive Director of Heritage Victoria.